On this week’s RFC Mini-cast John and Matt discuss the first two Combiner Wars combiners Superion and Menasor! Finally! 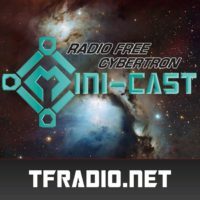 On this week’s RFC Mini-cast John and Headmaster Don talk about Arcee. On this week’s RFC Mini-cast John, Exvee and Rob Clay discuss the CW Superion and Menasor limbs Slingshot and Wildrider.